Why Is There No Mid-Strength Cannabis? High-potency cannabis flies off the shelves with the medical cannabis movement. Yet, is there actually a benefit to growing weaker, mid-strength cannabis? High-potency cannabis has been flying off the shelves since the beginning of the medical cannabis movement. Yet, now that more players are jumping onto the cannabis bandwagon, is there actually a benefit to growing weaker bud? Many potential customers are wondering, where is the mid-strength cannabis? High-quality light to moderately potent herb may be the next big break for breeders and retailers. It’s safe to say that the cannabis industry is booming. Recreational cannabis is legal in four states. Nearly half of U.S. states have some type of medical cannabis program. With laws relaxing, many newbies are becoming canna-curious. Yet, if a newcomer walks into a cannabis shop, they might find the available products a little overwhelming. Smokable bud has become more potent than ever. Back in the Hippie era, the average strain had a THC percentage of less than 8%. Today, the average dried bud has a THC content between 20 and 26%. Some strains even reach a soaring 51%. While this is awesome for the experienced cannasseurs out there, many newcomers find themselves in a nearly psychedelic experience after just one or two hits. In recent months, micro-dosing has become a popular recommendation to get around this phenomena. The idea is that you take just really small doses of a dried flower or an edible, only enough to give you a pleasant buzz. But, who wants to take just a puff or two of a joint? Older consumers or people just looking for a slight, mellow high also miss out in today’s cannabis market. Herb that’s too potent can make for an uncomfortable experience for someone who just wants a little uplift while they go about their day. While sativas are typically thought of as day-time bud, many are so potent now that they aren’t practical for those who just want a light, mood-lifting experience for a social gathering, work, or a sunny day out in the garden. Where is the mid-strenth herb? There’s a simple solution to this market gap: bring back mid-strength cannabis. Perhaps strains that produce a THC content between 10 and 15% would be a nice start. 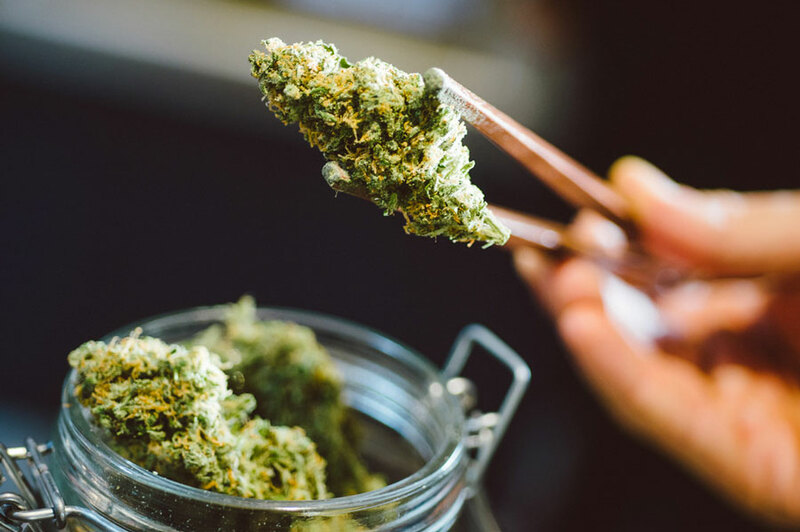 Sure, there are quite a lot of high CBD strains out there these days, but there’s a difference between a low-dose THC dominant strain and more or less non-psychoactive CBD-dominant strains. THC content can vary significantly depending on how the cannabis is grown. The strain Cinex, for example, is typically thought of as a fairly easygoing and mild strain. Its THC content has tested as low as 15%, yet often runs into the low 20s in many dispensaries. But, if we’ve successfully bred strains to have higher CBD content and lower THC content, can we breed for THC-dominant strains that hover in the mid-to-low teens? Can we grow high-quality mid-strength cannabis? So, I’m standing in a parking lot […] smoking a joint. And I’m taking huge hits cause I had no idea. I didn’t know that they’d been working on this sh*t like it’s the cure for cancer. I didn’t understand the technology that’s gone into making pot so powerful. Cause when I was a kid you could just smoke a joint for a while. Now you take two hits and you go insane. It’s not doable anymore. – Louis C.K. Amsterdam-based Royal Queen Seeds has a few nice medical strains that seem to fit the requirement. Their Stress Killer has a THC content of around 11%. It has a high CBD content as well, but not so great as to wipe out the pleasantly high effects of this “THC weak” plant. These kinds of plants may be present in medical dispensaries and collectives, but many recreational shops have yet to fully hop on the bandwagon. Surprisingly, there’s another huge bonus to opting for high-quality, low THC strains. A good sommelier pays close attention to the complex tastes and aromas of a fine wine. Hints of chocolate, berry, or deep woody tones are carefully pondered and fully experienced with every sip. High-quality cannabis is quite similar. Great cannabis has an abundance of terpenes. Terpenes are the molecules that give the plant it’s flavor and aroma. They also work in tandem with the herb’s active components like THC and CBD. Terpenes not only enhance the taste and smoking experience but interact with cannabinoids to change the overall cannabis experience. The Evergreen State Cannabis Trade Alliance has since merged with the National Cannabis Industry Association. Many veteran canna-lovers might be appalled at the idea of weak herb. But, when it comes to cannabis, we need different tokes for different folks. We already have a wide variety of super high-THC strains. It’s time to get creative with moderate ones. Do you have any favorite mid-strength cannabis strains? Share them with us on social media or in the comments below. We’d love to hear from you!